The Saracens No.8 missed the whole of last year’s Championship campaign for the Red Rose after suffering a fractured arm, one of several injuries that have limited his playing time. He missed the autumn internationals after breaking his arm again, but he returned for this year’s Six Nations and started every game as England finished second behind Warren Gatland’s men. “With my recent history of injuries, I’m probably a bit slow to get started with but I’m getting there and I think the more I play the better I’ll get. “I think everyone picks up on the negative and I just think as a team we should be positive, we scored the most amount of points but obviously there are things to improve. “It was a mixture of feelings, there was disappointment that we couldn’t go into the last game with the hope of winning it, but also there was a lot of good things we did. “At the end of the day, we wanted to have confidence going into the next batch of games that we have which is in August before the World Cup and I think we got that. “We had a good time in camp together, we spent a lot of quality time together and also we did a lot of good things, but there are a few things that undid that - that’s the way it goes,” he said. “I think there was disappointment after the Wales result, with them beating Ireland, we wanted to have at least a glimpse of hope and obviously that got taken away pretty early. “We started like a house on fire against Scotland and I guess it got put out, but that’s the way it goes, that’s the way games go and for us it’s just another learning curve. 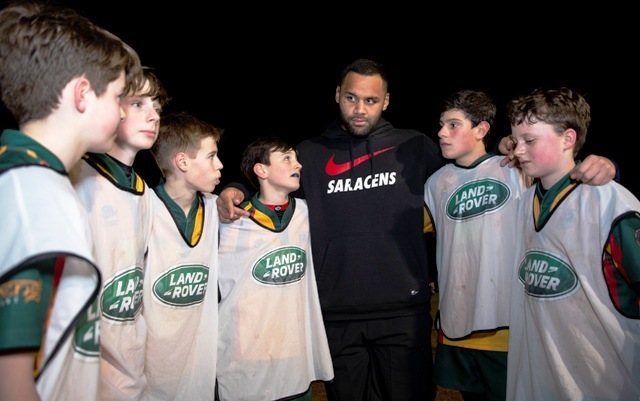 “We’ve just got to keep learning now and hopefully put it into action when we get back together as a group later this year for the warm-up games and the World Cup.” Vunipola was speaking as he and fellow Premiership Rugby players from Saracens and Harlequins were leading a coaching session on behalf of Land Rover at Beaconsfield RFC, putting London rivalries to one side, in aid of supporting grassroots rugby. And with Saracens and Harlequins sitting second and third in the Premiership, respectively, ahead of the derby at the London Stadium, Vunipola is focused on finishing the season strongly with the club. “We just want to keep our head down and keep fighting for everything,” added Vunipola. “We’re second in the table, we’re in a great position and Quins are below us.